1977 saw the death of the King, the release of «Off the Wall», and anecdotically the birth of Laurent Veronnez in Brussels. Of course at the age of 8 or 9 anyone feels attracted by music, but some kids just hear a melody on the radio and reproduce it note by note on a toy keyboard. Surprisingly, this happening didn’t ring a bell, and Laurent ended up addicted to ICT, pixels and graphics more than anything else until the age of 14. Laurent discovered back then what perfect pitch meant, and developed the gift he received from God, was playing keyboards for hours and making his neighbours mad while homework was left undone. A typical youth for a musician but also an untypical way to enter a new world where art is as important as science. That is how Laurent developed his DJ and performer’s career, having several gigs worldwide, from Tokyo to San Francisco, from Auckland, NZ to Toronto, and from Manchester to Athens. Hundreds of gigs saw him perform at the world’s biggest clubs of those times, Slinky, Gatecrasher, Godskitchen, The Gallery, 1015, Dopler in Bratislava, and many others, all of them had the chance to welcome Laurent Airwave one day, if not several times, which proves that you don’t need to overcommercialize your music to get rewarded all around the world. 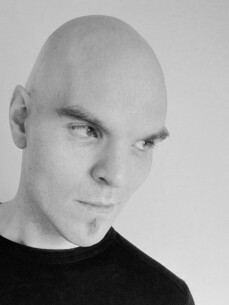 Today, Laurent doesn’t count productions anymore, as the track counts hit beyond 500 productions (under Airwave and many other aliases, such as The Green Martian, Velvet Girl, Cape Town, Planisphere, Fire & Ice, Yamakasi, Antidote, Lolo, and many others) and well over 100 remixes under his belt. He’s worked with the biggest names in the progressive and trance scene, from Armin van Buuren to John 00 Fleming and Markus Schulz, and remixed the likes of Tiesto, Judge Jules, Josh Gabriel (under his Andain alias), and many, many others. His 2006 triple opus, «Trilogique» was highly regarded by the likes of Paul van Dyk among others. «Touareg» saw him collaborate with musicians coming from opposed sides of the record industry. Gifted people gave this album a unique stamp.